The "summer election" is happening on May 20. Please review the flyer below for information about what is at stake. 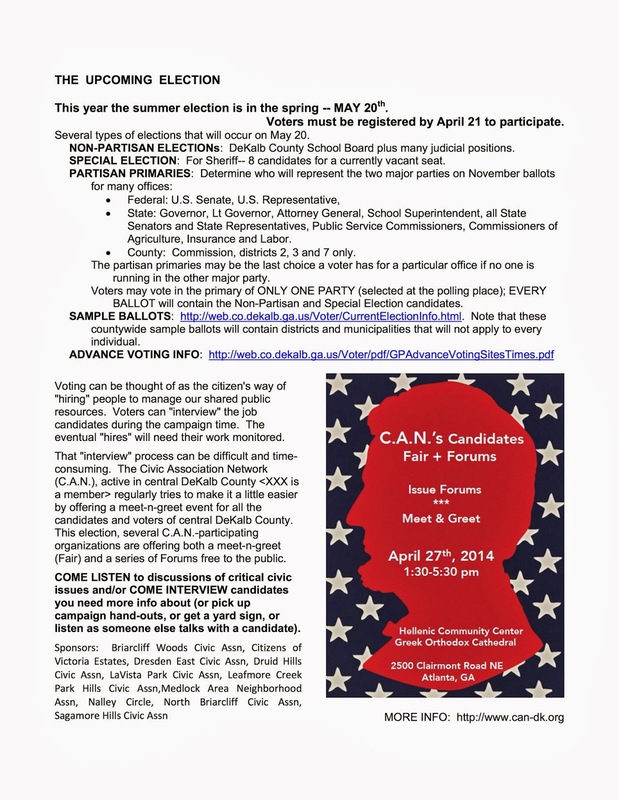 Note that the voter registration deadline is April 21. SAMPLE BALLOTS: http://web.co.dekalb.ga.us/Voter/CurrentElectionInfo.html. Note that these countywide sample ballots will contain districts and municipalities that will not apply to every individual.